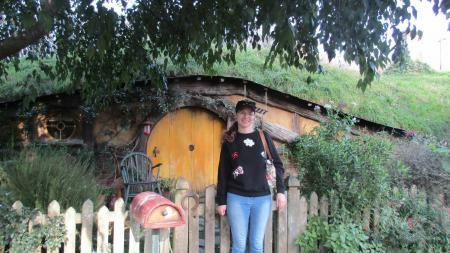 Growing up reading "The Hobbit" novels, Emily Dautenhahn never imagined she would get to visit the actual movie set of the trilogy. Her unexpected journey became a reality when she took a leap and decided to study abroad. Dautenhahn, a senior double majoring in mathematics and history in the University of Kentucky College of Arts and Sciences, decided she wanted to participate in an education abroad program the summer after her sophomore year, and began researching and filling out applications. She ultimately decided on a program in New Zealand. "After choosing an internship program in New Zealand, I was delighted to hear that I had been placed with the Unmanned Aerial Vehicle (UAV) team at the Auckland University of Technology (AUT). They used the UAVs to make maps of the environment,” Dautenhahn said. While in New Zealand, Dautenhahn used computer software to analyze the maps the drones made in order to see if vegetation had grown over time or not. She also helped create computer algorithms to analyze the data. Dautenhahn utilized this research experience when she started working on a National Science Foundation Research Experiences for Undergraduates (REU) proposal. "The math REUs are pretty competitive because they are harder to get," Dautenhahn said. "They are harder to get because you have to have some idea of what to do and it takes time to acquire that knowledge; whereas with subjects like biology or psychology you can work in a research lab without much background knowledge." Dautenhahn and her research partner, Hannah Pieper, a senior math major from Oberlin College, spent eight weeks studying Catalan numbers, which are mathematical sequences that resemble Fibonacci numbers. Fibonacci sequences are a series of numbers in which each number is the sum of the two preceding numbers. The first few terms in the sequence are 1, 1, 2, 3, 5, 8, and so on. This sequence of numbers is important because it appears in nature — the number of petals in flowers is often a Fibonacci number, as well as the number of swirls on a pine cone — and in many other areas of mathematics. "Catalan numbers are similar to the Fibonacci numbers, but tend to be more complicated," Dautenhahn said. 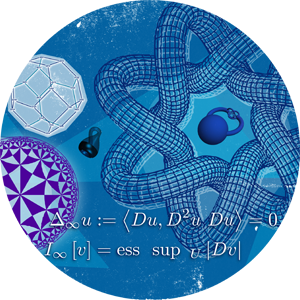 "Mathematical sequences usually count objects, so we took these Catalan sequences and known objects they enumerate and generalized them to a larger family of similar sequences." After eight weeks of hard work, Dautenhahn and Pieper went to the Mathematical Association of America's Mathfest, an annual conference in Chicago. "We presented our research to the judges and received an Outstanding Presentation Award," she said. 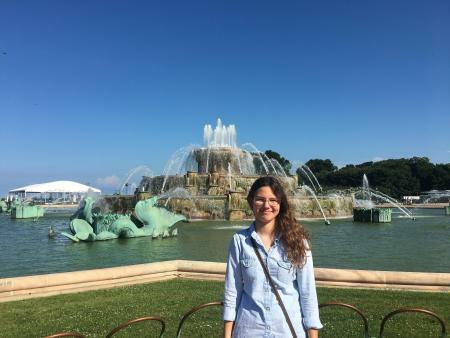 Now that she has traveled to New Zealand and Chicago and participated in a math REU, Dautenhahn is planning her next step — getting into graduate school and earning her doctoral degree in math. When asked what she would tell incoming mathematics majors, Dautenhahn said "Math is a lot different than how it looks in calculus or in high school classes. Your attitude towards those courses may not really indicate if you are suited to be a math major. You have to get in and test the water before going into the deep end. “Math is a much bigger world than it seems, so it might take a while for you to find out what you find interesting. But once you do, you’ll know."